Riyadh(ANN)-Saudi Arabia has backed a push by the United Kingdom, the United States and France to pass a draft UN resolution condemning Iran for its alleged failure to stop its ballistic missiles from falling into the hands of Yemen’s Houthis. 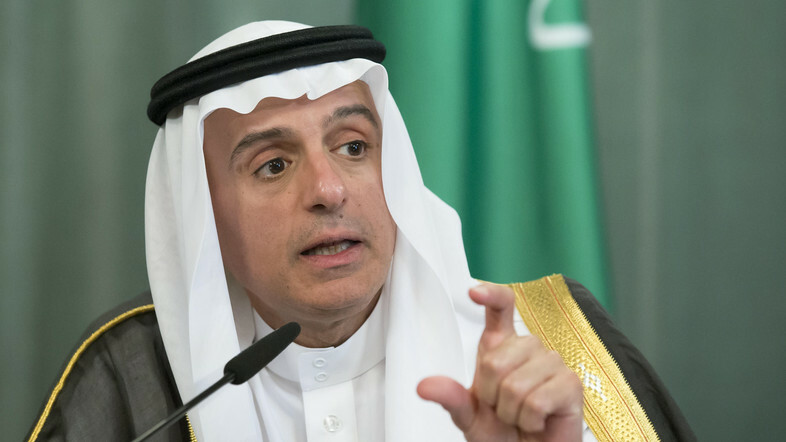 Saudi Foreign Minister Adel al-Jubeir said Sunday the resolution would help hold Iran accountable for “exports of ballistic missiles” to the Houthi fighters, as well as its “radical and aggressive” behavior in the region. Saudi Arabia and its allies have been pounding Yemen since March 2015 in an attempt to crush Houthis and reinstate former president and Riyadh’s staunch ally, Abd Rabbuh Mansur Hadi. At least 13,600 people have been killed since the onset of Saudi Arabia’s military campaign. Yemeni Houthi fighters have been firing missiles in retaliatory attacks against Saudi targets every now and then. The UK, along with the US, has been providing the Saudi campaign with logistical support and generous arms sales. “In order to ensure than Iran comports itself with international law, we must have firmer positions with regards to ballistic missiles and with regards to Iran’s support for terrorism,” Jubeir told the annual Munich Security Conference on Sunday. “Iran must be held accountable,” he added. The Saudi minister also called for changes to two aspects of the 2015 nuclear deal between Iran and world powers. The UN Security Council is expected to vote on the draft resolution, which is likely to be vetoed by Russia, on February 26. The Saudi top diplomat expressed hope that Moscow could be convinced to back the measure. According to diplomats, London drafted the resolution in consultation with Washington and Paris before submitting it to the Security Council on Friday. The motion came after Britain proposed a UN Security Council praise of Riyadh and the United Arab Emirates for allegedly pledging funds to ease the the humanitarian crisis of their own making in Yemen. The proposal coincided with fresh criticisms of the Saudi-led military campaign against Yemen by UN experts and rights groups. Saudi Arabia has imposed an all-out blockade on Yemen’s ports, depriving the Arab world’s most impoverished nation of direly needed foodstuff and medicine.